Apocalypse, translated literally from Greek, is a disclosure of knowledge, hidden from humanity in an era dominated by falsehood and misconception, i.e., a lifting of the veil or revelation, although this sense did not enter English until the 14th century. In religious contexts it is usually a disclosure of something hidden. Today, it is commonly (and erroneously) used in reference to any prophetic End Time scenario or to the end of the world in general. 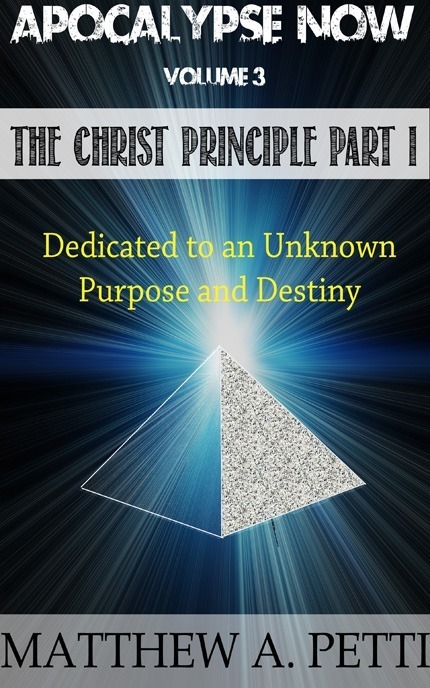 Here in Volume 3 we view Jesus Christ a man who was dedicated to an unknown purpose. His FAITH in his mother's testaments, changed the circumstances of a normal human and destined him towards an insatiable search for Truth. Read this new perspective on verses of scripture that helps unlock the hidden messages in his ministry, and expose the shortsighted conceptions of modern-day Christianity. Can we unite many religious teachings on the fundamentals of Christ's life and testament? Decide for yourself whether or not the predominant religious rhetoric has stymied our Spiritual progress for centuries and prevented us from seeing the secrets hidden in plain sight. Discover the mysteries to Revelation's prophecy as the secrets continue to unfold in Volume 3 of the Apocalypse Now Series.